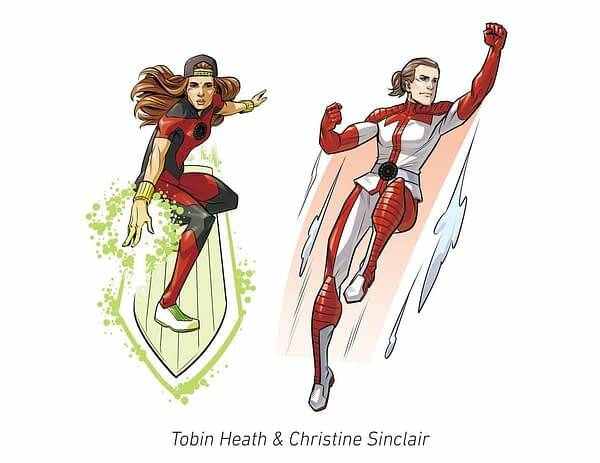 Timbers midfielders Diego Chara and Diego Valeri and Thorns FC midfielder Tobin Heath and forward Christine Sinclair will each be transformed into superheroes and have alter-egos created by local cartoonist Ron Chan. The collaboration will be launched on Saturday, April 28, on National Superhero Day. 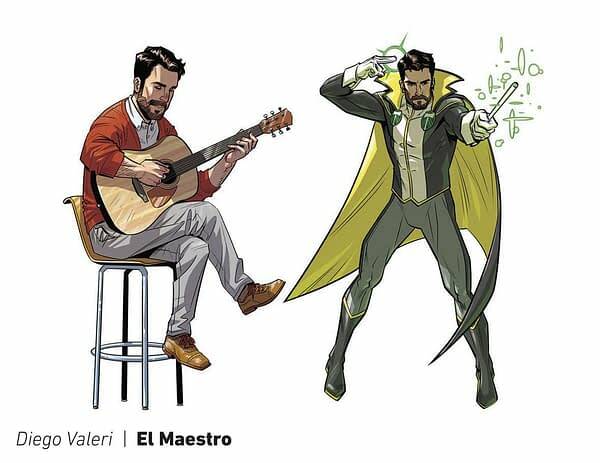 As part of the project, comic book writer Arvid Nelson also created unique origin stories for each player, detailing the genesis of their individual “super-powers.” Valeri’s superhero will be ‘El Maestro’ giving him the power of clairvoyance and magic. 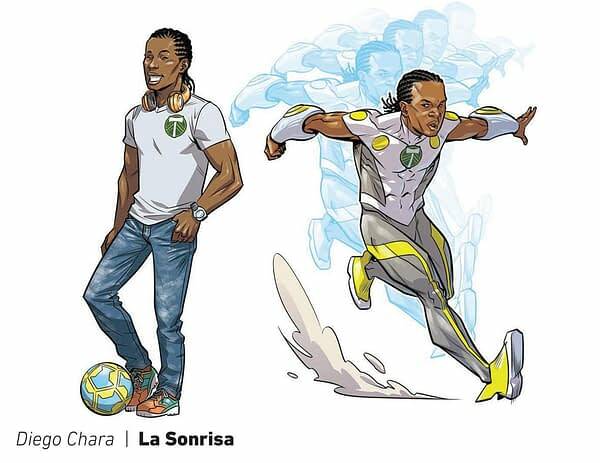 Chara’s superhero will be ‘La Sonrisa’ and he will have the power of duplication and super speed. 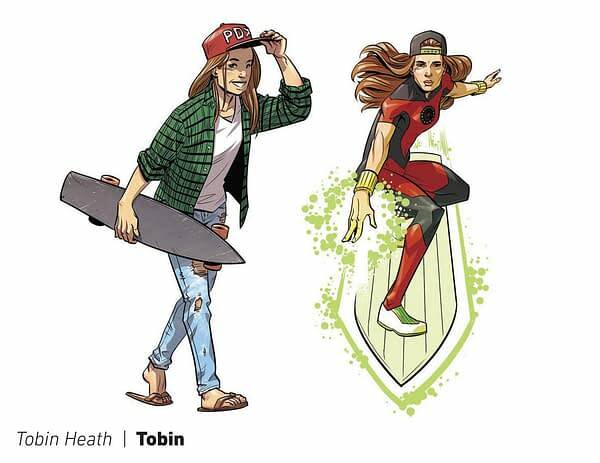 Heath’s superhero will be named simply ‘Tobin’ and her powers will include illusions and energy manipulation. 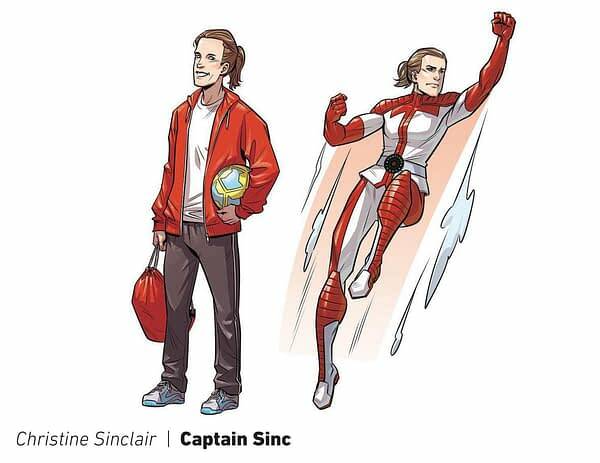 Sinclair’s superhero will be ‘Captain Sinc’ and she will have powers of super strength and flight. 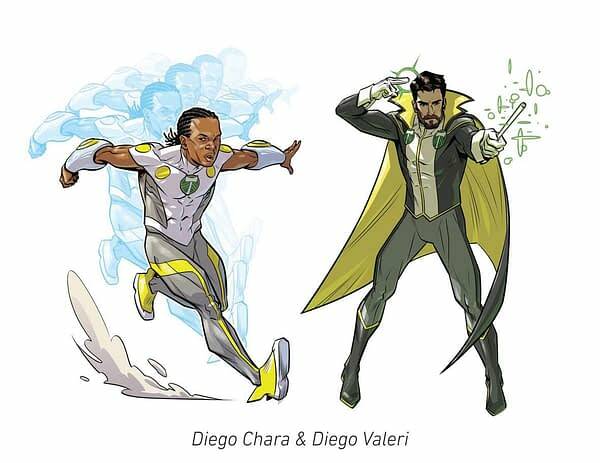 As part of the promotion, each superhero team member will have a t-shirt, scarf, and socks for sale at the respective teams’ stores. If you were saying to yourself, “that’s all well and good, but what do executives from these organizations have to say about each other in complimentary press release quotes?” then you’re in luck. We’ve got some of those too.